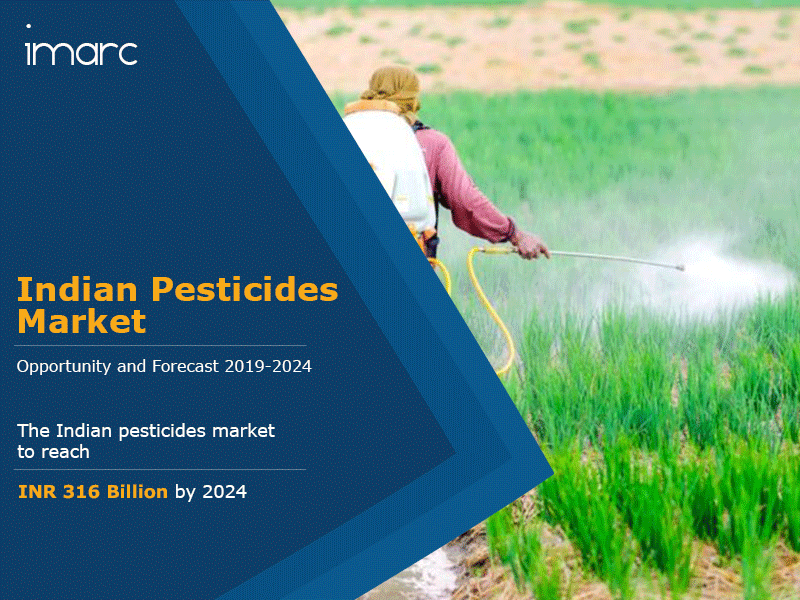 The Indian pesticides market was worth INR 197 Billion in 2018. The market is further projected to reach a value of INR 316 Billion by 2024, growing at a CAGR of 8.1% during 2019-2024. Pesticides are substances or a mixture of substances intended for preventing, destroying, repelling or mitigating any pest. Pesticides represent the last input in an agricultural operation and are applied for preventing the spoilage of crops from pests such as insects, fungi, weeds, etc., thereby increasing the agricultural productivity. The significance of pesticides has been rising over the last few decades catalyzed by the requirement to enhance the overall agricultural production and the need to safeguard adequate food availability for the continuously growing population in the country. In India, pests and diseases, on an average eat away around 20-25% of the total food produced.